Cheese Chili Toast is a brunch recipe. You know one of those days when you miss your breakfast, and would want to have something heavy that would compensate for breakfast and lunch. We make these on some Sunday’s when we get up late, miss our breakfast, and have an afternoon movie show to catch up. So we squeeze in this recipe in between which keeps us full till the movie gets over. Cheese Chili Toast is a standard British recipe. 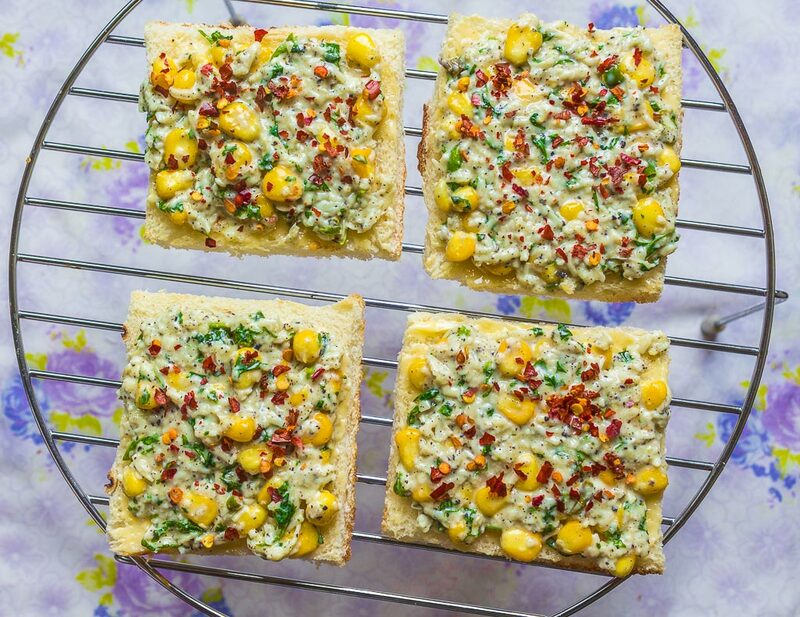 It is one of the classic snack recipes that has got a special status in British culinary world and is popular in classes and the masses. You can determine its popularity quotient from the fact that this iconic dish has a day reserved for itself in British calendar. Every year, from past few years, they have been celebrating National Cheese on Toast Day. This classic breakfast is traditionally prepared in UK using Cheddar Cheese and optional toppings of onions, fried tomatoes, fried eggs and sauces. This dish arrived on the culinary stage of India during the Victorian era or has been the recent entrant is kind of unknown. We accepted this dish and indianised it to suit our palates. I prepare this cheese toast with processed cheese because that is what I find most of the time in my refrigerator. The other ingredients get added or dropped from the recipe list depending upon their availability. I do not make any special efforts to procure ingredients for this dish, because as I said it is one of the quick snack recipes that should not require any elaborate planning and preparation. These days when corns are readily available, I have added corn kernels to this preparation which gives it an interesting dimension. 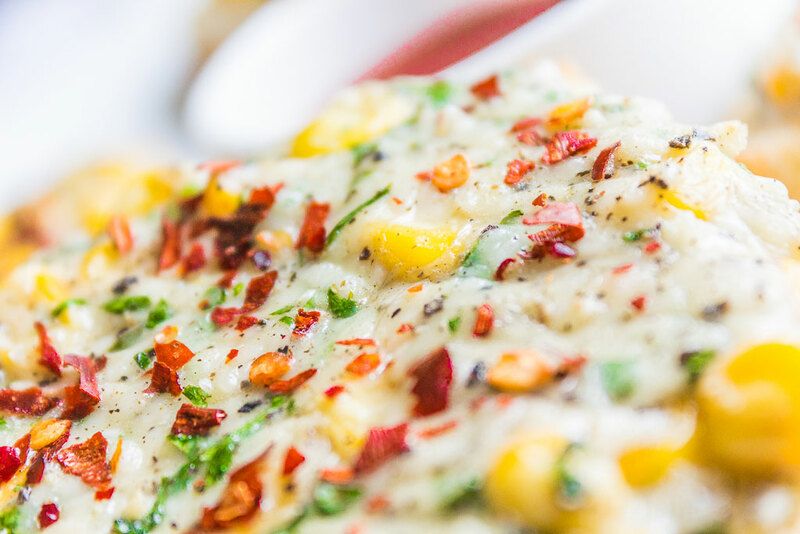 Finally small amount of chilies would do no harm to our Indian palate and has been added to counter the sweetness of cheese and corn. 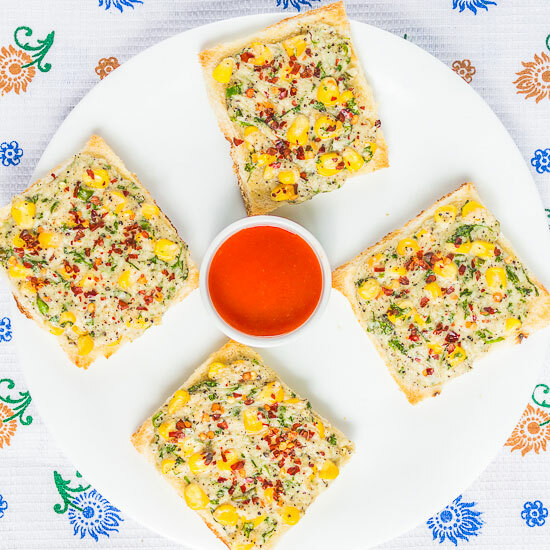 Make these quick cheese chilli toasts for your brunch. You can share your feedback in the comment section below. 4 Bread Slices. Remove the sides of these slices. Firstly pre-heat the Oven at 200°C. In LG Oven, select convection mode. Turn the dial to set temperature. Press start twice to select pre-heat. In this mode we do not set any timer.Once desired temperature is reached, Oven would beep. Meanwhile arrange bread slices on high rack. Toast them for 4 mins in Oven at 200°C. Meanwhile, in a large bowl take grated processed cheese. 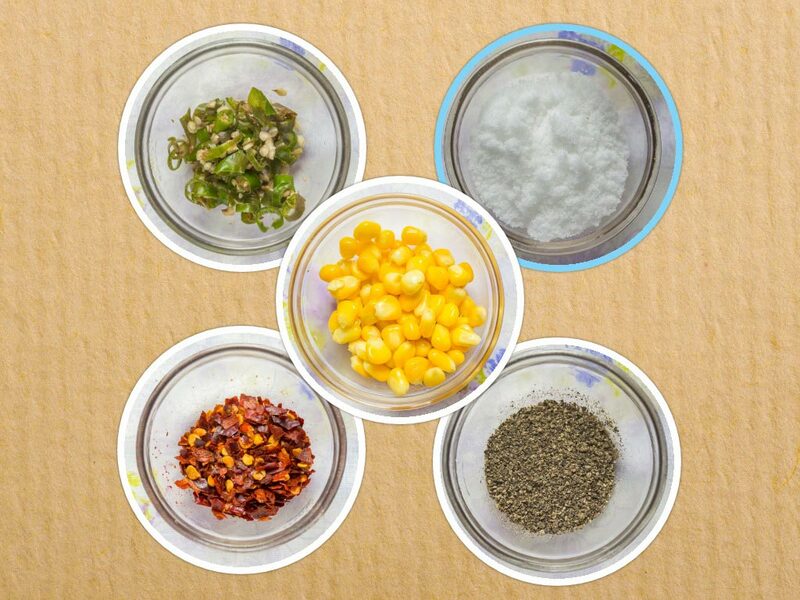 Add Corn kernels, green chilies.Add chopped coriander, black pepper powder.Add garlic paste, salt as per taste. Finally add 2 tbsp milk. Mix all the Ingredients nicely. Bread slices should be nicely toasted in 4 mins. Now apply butter evenly to toasted bread slices. 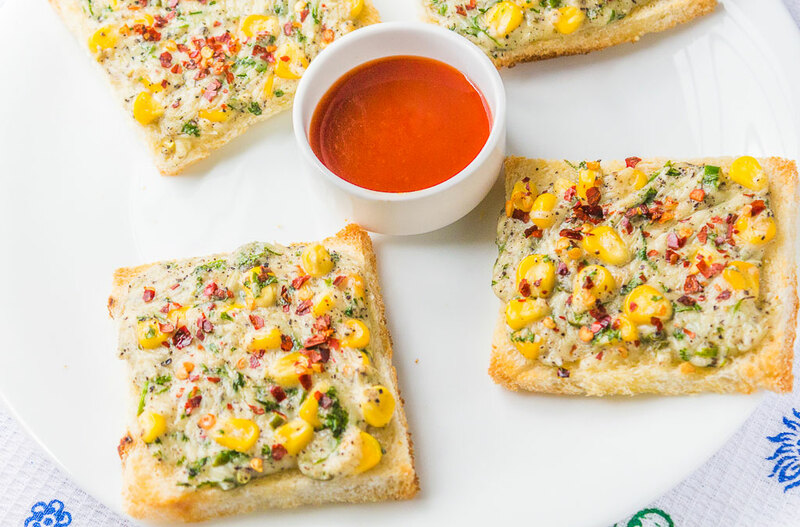 Now apply cheese-corn mixture on this bread slice and spread it evenly. 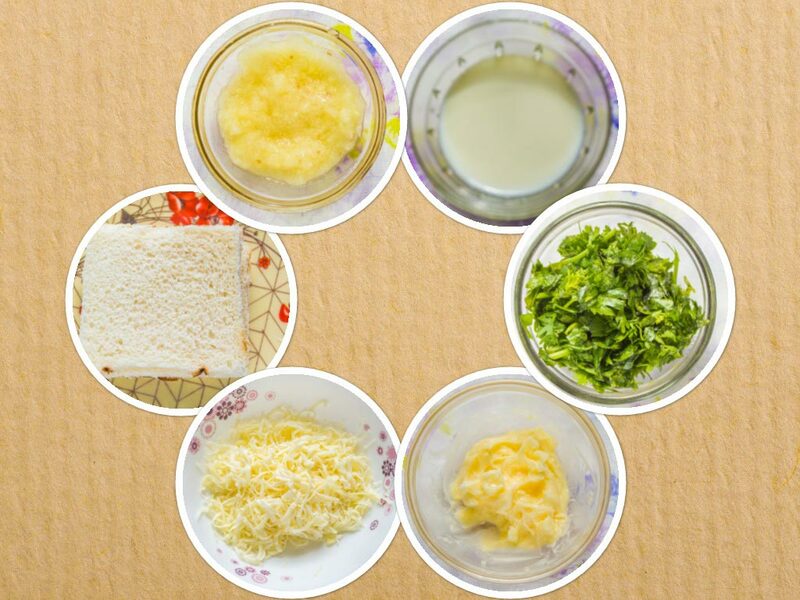 Similarly prepare all bread slices by applying butter and cheese mixture to them. Now arrange these slices on high rack. Sprinkle some chili flakes on top of them. We are going to put them back in a pre-heated oven at 200°C for 4 minutes. Nice recipe! Easy to make and delicious to eat! Thanks for stopping by and for your lovely feedback! Keep reading, enjoy cooking!